According to Asif Khan of The Location Based Media Association, mobile devices enable consumers to be in two places at the same time, ready to check-in, like, share or tweet. Businesses must start engaging with their audiences in this new realm and communicate relevant information, answer their questions before someone else does and ‘’play the game’’. Knowing that somewhere between 60%-70% of people are using a second screen when watching TV (Mike Proulx) and 45% of the total UK population owns a smartphone (Google Mobile Ads Blog), one cannot stress enough the importance of location- based services and its potential of creating two- way conversations between consumers and business or brand owners. Without further introductions, here’s our infographic showing the state of location- based media at the end of 2012 and its underlying importance. 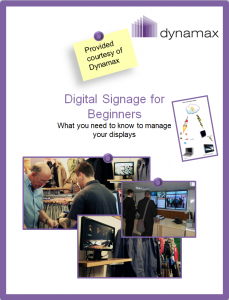 Want to learn more about digital signage (we know the term is confusing)? Download our white paper and discover the mystery. This entry was posted in Infographics, Uncategorized and tagged digital signage by Dynamax. Bookmark the permalink.